Gentry Restorations Ltd is a family-owned British business that specialises in the authentic restoration of Bugattis. Integrity and passion are the words that best describe the attitude of the founders - father and son team Malcolm and Stephen Gentry. 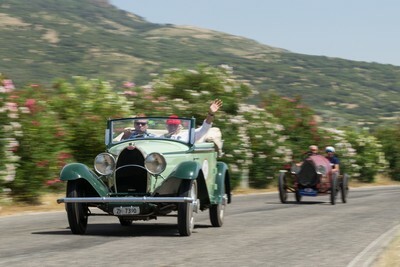 Between them they have over 50 years of experience working with Bugattis. Their knowledge of the history, philosophy and engineering behind Ettore Bugatti’s products is unsurpassed. In addition, the company has access to original drawings and notes from the Molsheim Bugatti factory. There is absolutely nothing that the Gentry team cannot overcome when it comes to solving problems with these most cherished vehicles. It all started on 1st January 2000 and the company is now firmly established and recognised as one of the best Bugatti restoration companies in the world. Right from the very beginning the workload increased. It wasn’t long before the company had to relocate from its modest premises in Oxfordshire, The Black Barn in Adwell, to more spacious, modern units at Wornal Business Park, Worminghall, Buckinghamshire. This enabled an expansion programme to increase the tool room machinery and improve the welding and heat processing facilities. The new premises also offer more storage space for completed cars, parts and dismantled components. The increase in workshop floor space means that more than twenty cars can be worked on at any one time. During its expansion, Gentry Restorations acquired a reputation for being a friendly and co-operative business that helps its customers achieve exactly what they want. The main reasons that clients like to work with Gentry Restorations is that the Gentry team not only has extensive knowledge of Bugattis but also the willingness and ability to carry out extensive research into the history of any car. Only once the research is complete and after consulting and obtaining agreement from the client - that's when the Gentry team starts the process of restoring a car to its former glory in both specification and appearance. Repeatedly, there are clients that use Gentry Restorations to increase their collection of cars simply because of the team's knowledge, ethics, capabilities and exacting standards of quality. The Gentry team is often asked to support owners that frequently use their cars on rallies around the world. This has helped the engineers gain invaluable knowledge and experience for solving problems associated with driving a diverse range of Bugatti models - over both short and long distances. This experience is continuously employed to improve the driveability and reliability of every customer's vehicle. In addition to entire, major vehicle restorations, there are many owners that simply require individual parts to be restored or repaired. This can range from fuel system air pumps to complete engine overhauls and chassis repairs - no job is too small for the Gentry team. There are also many owners who actively service and repair their own cars. Should such a person ever need it, the team is more than happy to provide free help and advice to anybody that asks. In 2003, Gentry Restorations acquired many patterns and drawings from Raven Engineering. It was at that time when the company started to produce Brescia components. This was necessary in order to restore a particular client's car. 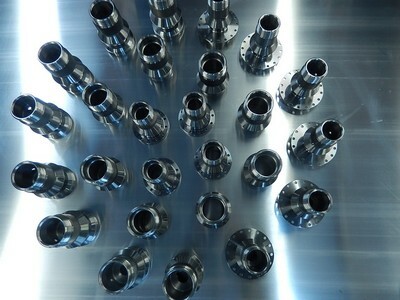 Since then, the company has been asked to produce increasingly more complex and interesting components for its customer base. 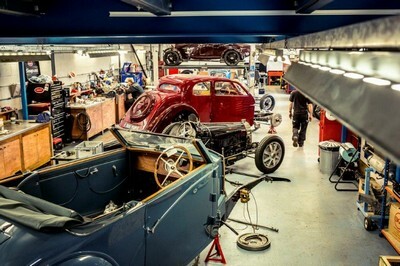 As a consequence, the company now produces over 1000 individual Bugatti parts and components. Gentry Restorations is now internationally regarded as Brescia experts and over the years the engineers have undertaken all types of Brescia repairs and restoration projects. The range of parts that the company produces constantly expands as it becomes increasingly more difficult to obtain or restore missing or failed original components. As and when new parts are required, every effort is made to reproduce them to the exact specification of the original Bugatti component. This is done by using original factory drawings or copying the unusable part. With a dedicated, skilled team of 14 personnel (4 admin and 10 engineering), that collectively has over 200 years of experience working on Bugattis; the company provides a personal, knowledgable and highly-skilled service that is appreciated by a truly international client base.